Strickland Construction is an authorized? Heritage Building Systems reseller and will handle every step of the process to make your steel building a reality. Heritage Building Systems has been the leading full-service manufacturer of custom-designed steel buildings and mini-storage units for over 30 years. Steel buildings today are much different than they used to be. Rather than choosing from a limited number of pre-engineered options, a Heritage steel building will be custom engineered to your exact specifications. When considering the differences between metal buildings and those constructed using ordinary materials, the quality metal and finish materials used by Heritage Building Systems makes all the difference. Steel buildings are simpler and faster to construct, saving time and money. Metal buildings can be customized for a variety of purposes, including commercial, agricultural and more. Made from high-quality metal materials, the buildings Heritage provides can withstand repeated uses and harsh weather much better than buildings constructed from traditional materials. Metal buildings are easier to clean and maintain. 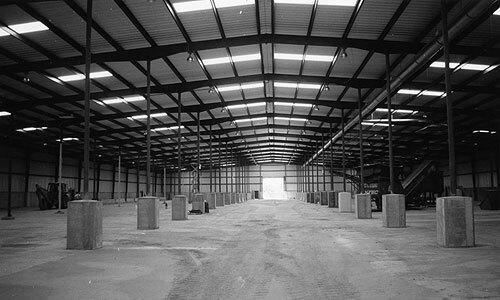 Removal of wall panels and additions to existing framework makes expanding steel buildings a much smoother transition.